In the United States, we have a lot of fast food and a lot of alcohol. On most corners in major cities you can find any one of several chain stores selling greasy food and stores selling liquor. Both of which are the farthest thing from good for you. Interestingly, the products being sold at both places are also rich in calories and carry the propensity for addiction among those who consume such products regularly. In America, more than two-thirds (68.8 percent) of adults are considered to be overweight or obese, according to the National Institute of Diabetes and Digestive and Kidney Diseases. With, more than one-third (35.7 percent) of adults being obese, it is fair to say that it is a problem of epidemic proportions. It is hard to watch out for one’s own well-being in a society that caters to both enticement and impatience. And what's more, promoting good health is harder to accomplish than offering a band-aid which makes it harder to consume things in unhealthy ways. Food, like alcohol, can be an addictive substance that should be considered as such. If doctors are going to offer solutions to the physical aspect of the problem, they need to focus on the person's mental health, as well. In the modern times, people who struggle with weight can have a number of types of procedures done to address the problem. 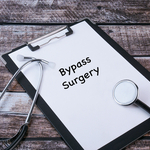 One of the most popular today is what is called Roux-en-Y gastric bypass (RYGB) surgery. It is a procedure that reduces the functional volume of the stomach making it harder to consume the amount of food that promotes obesity. While the procedure is effective, it does nothing to address the root causes that led to such an insatiable appetite in the first place. Which is why a new research published in Surgery for Obesity and Related Diseases is of so much interest. It turns out that people who undergo gastric bypass are at an increased risk of developing problems with alcohol, ScienceDaily reports. In fact, the researchers at the University of Pittsburgh Graduate School of Public Health found that 1 in 5 RYGB patients develop alcohol problems. The authors say the findings indicate there is need for long-term clinical follow-ups for patients who have the procedure done. "We knew there was an increase in the number of people experiencing problems with alcohol within the first two years of surgery, but we didn't expect the number of affected patients to continue to grow throughout seven years of follow-up," said lead author Wendy C. King, Ph.D. He adds, “"Because alcohol problems may not appear for several years, it is important that doctors routinely ask patients with a history of bariatric surgery about their alcohol consumption and whether they are experiencing symptoms of alcohol use disorder, and are prepared to refer them to treatment." Making it harder to consume foods at dangerous levels does not mean that people will stop feeding the pathologies that exist in the mind. Compulsive overeating is a form of mental illness that needs to be treated, making the stomach smaller does not accomplish this. People with one form of addiction are far more likely to be at risk of developing another dependence. If you had a gastric bypass, and are finding that alcohol has become a problem, please contact Whiteside Manor to begin treatment. We can help you break the cycle of addiction, and help you address the root causes that precipitated the condition. Addiction recovery has universal efficacy for all forms of use disorders, including food addiction.